Custom Software Development is the software made as per the requirement of the client applicable for that particular business’ needs. 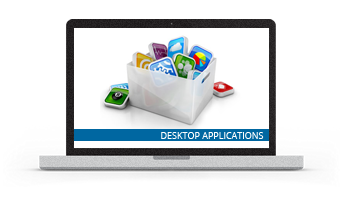 We deliver custom application programming services to end customers and also provide offshore software outsourcing services for other IT companies. We have outstanding experience in custom database development, desktop and distributed application design along with various custom software components and internet-project programming. Brief requirement analysis and transparency. In-house team of professional software developers. Up to date and state of the art technology. Flexible working hours to address to our client’s queries. Experience in delivering ERP, PMS and custom built software for many leading companies. We have a unique blend of Digital Marketing and Website Development . Website design involves programming expertise and technical skills. We believe in educating our customers on the proposed project first. We do the full requirement analysis and provide the optimum solutions. Before we start any project, our team does a full requirement analysis of the project and prepares relevant documents at the same time. A good project must have its code written in a manner that it could be changed any time in future to integrate new modules as and when required. Our services are scalable enough to integrate any new features or modules within the existence project. We believe in providing end to end and optimum solution to our clients which would ultimately help them upscale their business. Based on our client’s requirements and availability of budget we are flexible enough to work on different business models.